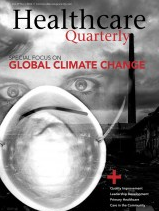 Learn about climate change and how it impacts the health care industry. 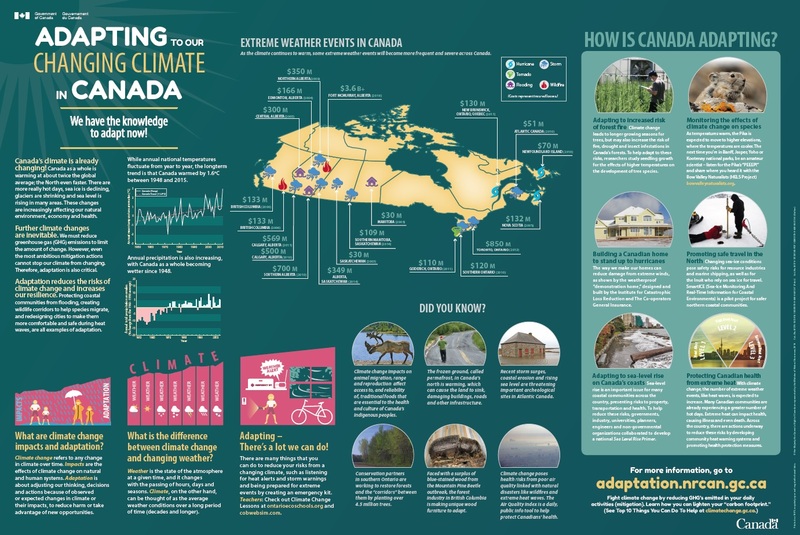 Climate change impacts are affecting Canada now. 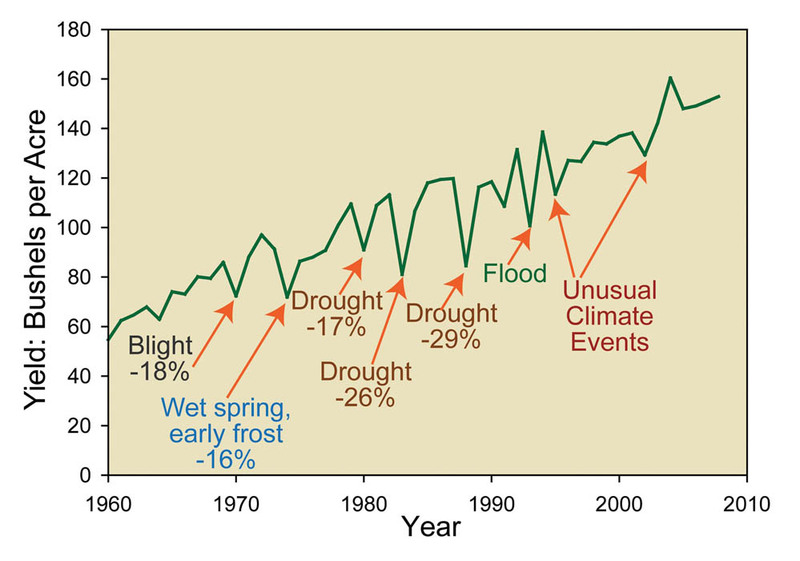 Read about past climate-related impacts and what we can expect in the future. Documents, websites, manuals, and toolkits to help you learn about, prepare for, and combat climate change. 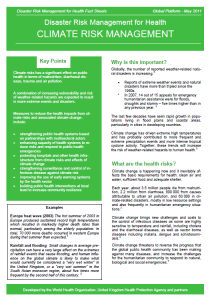 Climate-related hazards can have significant implications for demand on health care services. Storms, floods, wildfires, and extreme temperature events can create emergencies by damaging infrastructure and compromising access to critical resources. Poor air quality and increased risk of infectious diseases can result in more hospital visits, require additional resources, and increase waiting times. 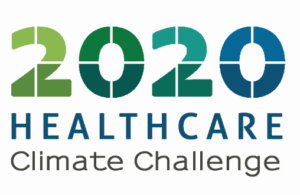 To help health care organisations prepare for these coming challenges, the Canadian Coalition for Green Health Care is proud to offer Climate Change Resiliency Mentoring. "Climate change represents an inevitable, massive threat to global health that will likely eclipse the major known pandemics as the leading cause of death and disease in the 21st century ... The health of the world population must be elevated in this discussion from an afterthought to a central theme around which decision-makers construct rational, well informed action-orientated climate change strategies." "The relationship between climate change and global health is unmistakable. This is a critical time for public health advocates to demand that political leaders safeguard the health of the world's population, with particular attention to the survival needs of the most disadvantaged." "As leaders of physicians across many countries, we call on doctors to demand that their politicians listen to the clear facts that have been identified in relation to climate change and act now to implement strategies that will benefit the health of communities worldwide." Storms, floods, wildfires, and extreme temperature events can create emergencies by damaging infrastructure and compromising access to critical resources. Damaged hospital infrastructure or interrupted supply chain access can endanger patients, visitors, and staff, and disable care services when they are needed most. 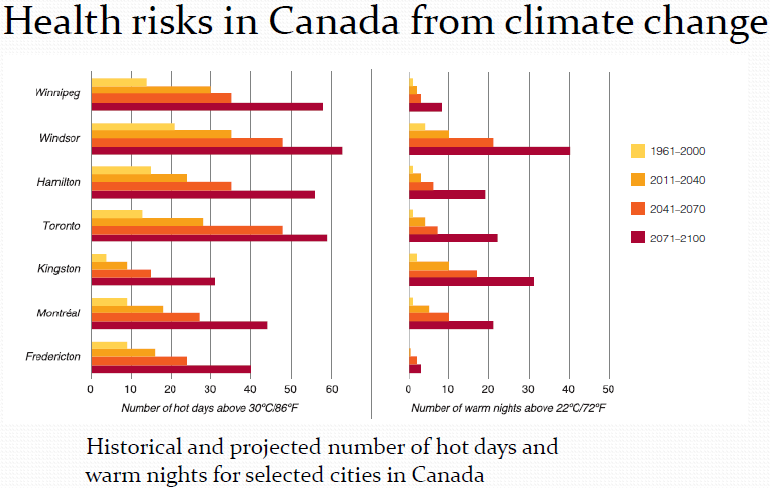 Warmer temperatures bring increased risk of food-, water-, and vectorborne infectious diseases. Increased emissions combined with extreme humidity can result in poor air quality, exacerbating respiratory conditions in vulnerable populations. Canada's rate of warming is about twice the global rate: a 2°C increase globally means a 3 to 4ºC increase for Canada. Effects will persist for centuries because greenhouse gases (GHGs) are long-lived and the oceans are warming. 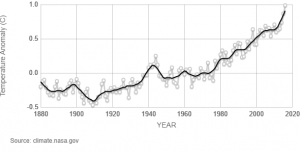 Cumulative CO2 emissions largely determine ultimate warming. A 2°C warming target may still be attainable, but we are already 65% of the way to the associated carbon limit or budget and global emissions must peak before mid-century. 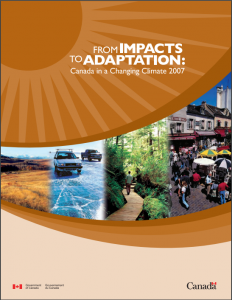 GHG emissions need to become net zero in order to stabilize climate at any temperature (NRCan). 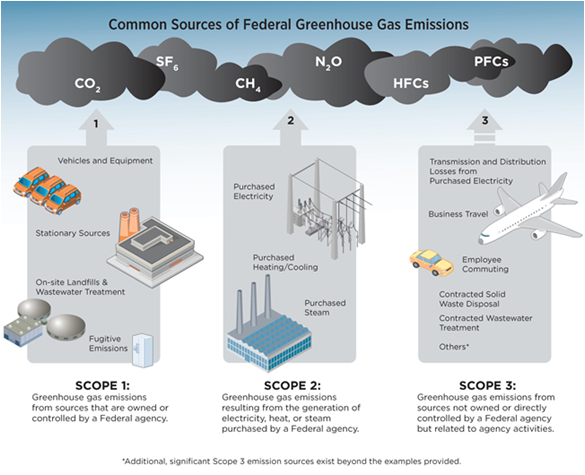 Greenhouse gas (GHG) emissions in Canada are driven by a number of factors, such as economic and population growth as well as the mix of energy supply. Emissions in Canada’s commercial and residential buildings increased by 14 Mt between 1990 and 2005, and then remained relatively stable around the 2005 levels through to 2011. 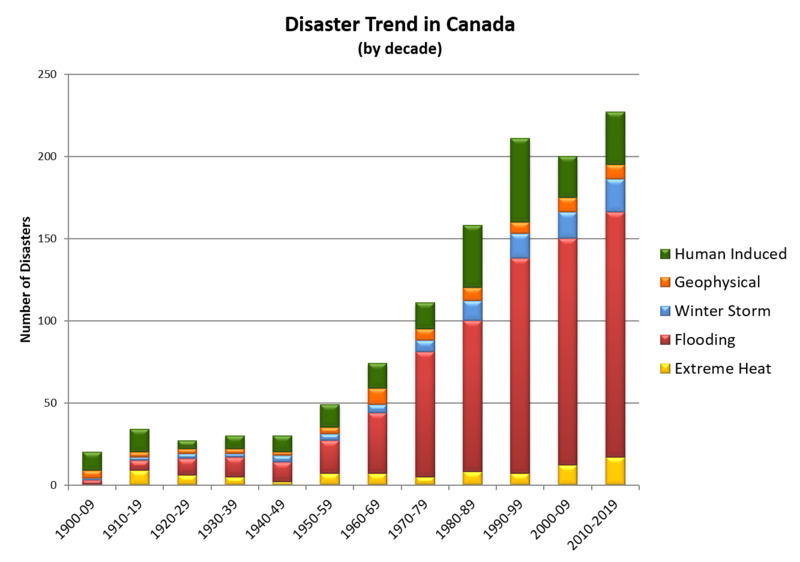 Since 1990 buildings have accounted for about 12% of Canada’s GHG emissions in any given year. The stability in emissions since 2005 is attributed mainly to energy retrofits, as 40% of all building floor space has seen some level of energy retrofit between 2005-2009. 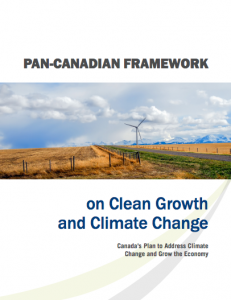 A Pan‑Canadian Framework on Clean Growth and Climate Change is in progress. 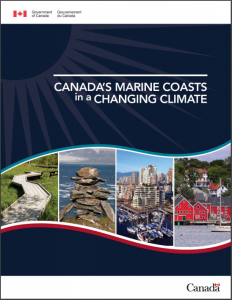 Provincial, territorial, and federal governments are working together to encourage clean economic growth, reduce greenhouse gas emissions, and prepare for the impacts of climate change. The Working Group on Adaptation and Climate Resilience is one of four working groups established at the direction of Canadian First Ministers in the Vancouver Declaration. It is led by a federal and a provincial co-chair, and is composed of members from federal, provincial, and territorial governments. Click to read the Resilient Health Care Submission for the consideration of Federal/Provincial/Territorial Working Group on Adaptation and Climate Resilience. Coal is a major contributor of greenhouse gas emissions, and talk is well underway to phase out its use in Canada. In May 2016, The Canadian Association of Physicians for the Environment (CAPE) blogged about Health Professionals Calling for an End for Coal. On September 2nd, a CAPE press release highlighted negotiations by several Canadian provinces to completely phase out coal plants by 2030. We will continue to post updates here as more information becomes available. 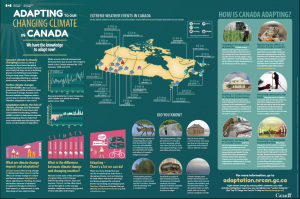 For a more extensive list of resources, including presentations, publications, and government documents from Canada and abroad, visit our Climate Change Mentoring page. 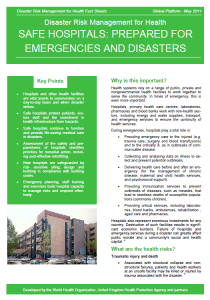 Heat Alert and Response Systems to Protect Health: Best Practices Guidebook. Each of the following climate change-related stories have been featured in The Green Digest. You can the complete Digest archive here. Canadian Coalition and leading Canadian health care organizations win international awards for using less energy, better resiliency and climate leadership! The Canadian Coalition for Green Health Care has won international recognition on climate leadership for the development of the Health Care Climate Change Resiliency Toolkit. For more information on this toolkit and how to engage your facility in using the toolkit, please contact Linda Varangu atLinda@greenhealthcare.ca. See all 2016 Global Climate Champions here. 2017 Is the Year of Health and Climate Change! Watch the replay of the Feb. 16 Climate & Health Meeting hosted by former U.S. Vice President Al Gore, APHA, The Climate Reality Project, Harvard Global Health Institute and the University of Washington Center for Health and the Global Environment with support from the Turner Foundation and other organizations. Read more. Celebrate Nutrition Month with the Blended Burger! Eating too much red meat can have health consequences and has negative impacts on the environment, causing air and water pollution that contribute to climate change. The James Beard Foundation has developed an innovative strategy to reduce consumption of meat while still enjoying the foods we love: mixing in veggies. Enter the Blended Burger. 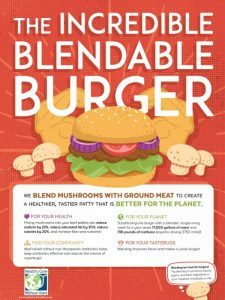 A blended burger combines mushrooms (or other plant-based ingredients) with ground beef (or other ground meat) to reduce the total meat in the burger while improving its flavor. 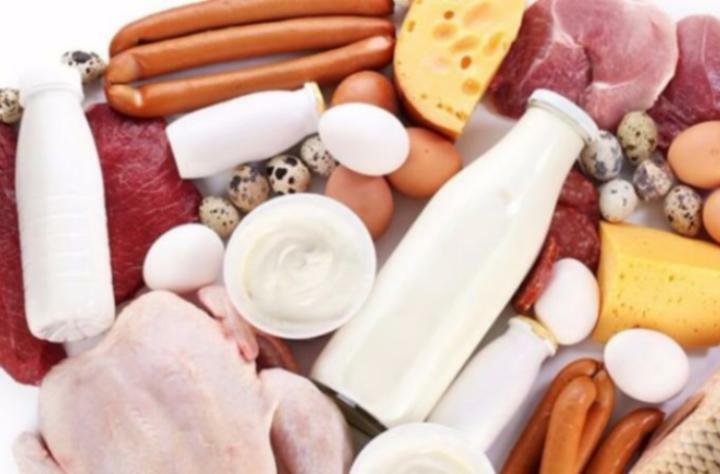 Health Care Without Harm is bringing this strategy to the health sector as a complement to its “Less Meat, Better Meat” approach. Read More. 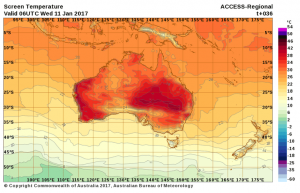 The majority of Southeastern Australia hospitals were not designed with weather risks in mind, and many facilities in the region are currently feeling the impact of extreme heat. While healthcare providers are coping with the impact of the weather events, the buildings they work in and the infrastructure that supports them often constrain their ability to respond. Power outages and sick people waiting hours for beds have been reported. Read the article. Climate change is advancing at an alarming rate around the world and it is now more important than ever that we act congruently to reduce GHG emissions while planning for resilience to the impacts that are already evident and projected to worsen. However, these crucial pathways are still largely being considered separately. 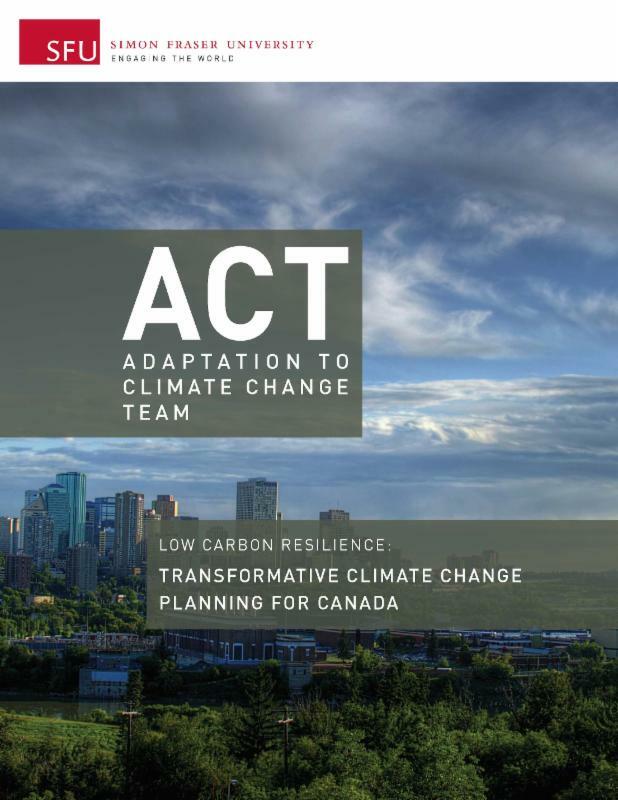 The Low Carbon Resilience report from the Adaptation to Climate Change Team (ACT) points to the co-benefits and synergies we can achieve if we consider adaptation and mitigation simultaneously. 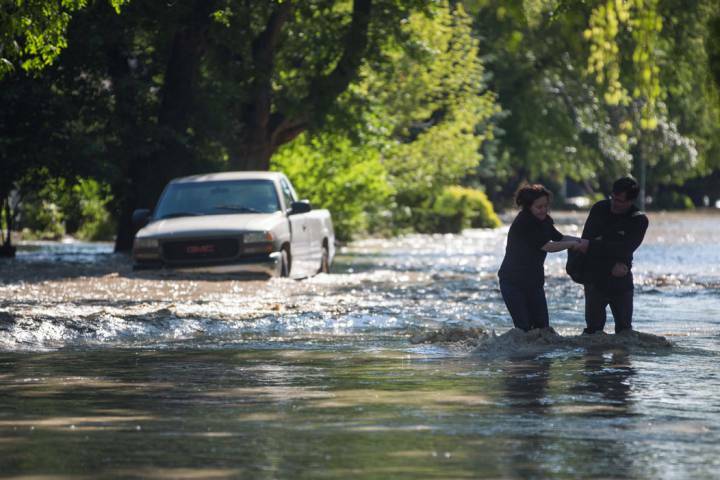 The University of Waterloo’s Intact Centre on Climate Adaptation found governments at all levels across the country need to take immediate action to make the country’s infrastructure more resilient or face increasingly catastrophic financial loses in the future. Read more. Emissions from agriculture threaten to keep increasing as global meat and dairy consumption rises. If agricultural emissions are not addressed, nitrous oxide from fields and methane from livestock may double by 2070. Read more. 2016 is set to break even the temperature records of 2015. Preliminary data shows that 2016’s global temperatures are approximately 1.2° Celsius above pre-industrial levels, according to an assessment by the World Meteorological Organization (WMO). Read more. With the U.S. Supreme Court stay of President Obama’s clean power plan, there are concerns the U.S. will miss its stated goal of reducing greenhouse gas emissions (GHGs) by 26-28 percent by 2025. The U.S. made this commitment in advance of the UN Climate Summit in Paris last year. Read more. 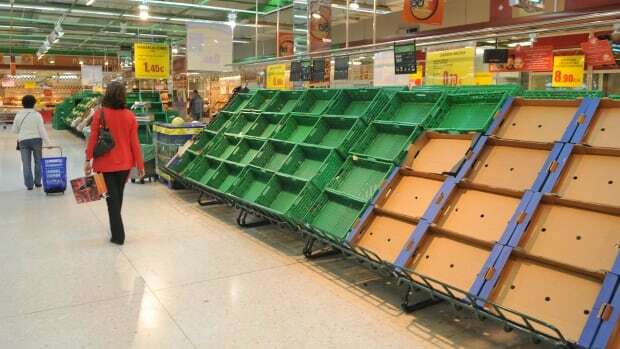 Access to fresh fruit, vegetables and many other foods could be dramatically limited due to climate change by 2050, according to a new report published in the medical journal the Lancet. In the report, scientists from the U.S. and the U.K. predict a lack of access to nutritious foods, which could see severe decline in public health — and, in some cases, deaths. Read more. 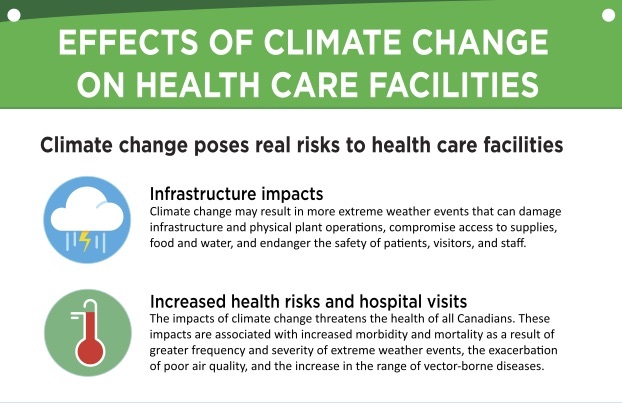 Climate change is a critical public health issue — one that hospitals need to do more to address. Every year, U.S. hospitals are emitting 8 percent of the nation’s greenhouse gases, generating more than 5.9 million tons of waste annually, and spending more than $6.5 billion on energy costs. While many hospitals are beginning to adopt more climate-friendly policies, including changing supply chains to obtain greener products, increasing water conservation efforts, or reducing toxic and hazardous waste, we still must do more to reduce our collective environmental footprint. Read more. Environmental exposure is top of mind for Environmental Protection Agency Administrator Gina McCarthy. During a lecture last week at the University of Illinois at Chicago’s College of Medicine Research, McCarthy, who has worked in environmental safety for more than 20 years, spoke to a small group of medical students about the EPA’s mission to protect public health. Read more. Reporting of additional data (e.g. more detailed emissions, quantities of fuels or feedstocks consumed, etc) and applying specific quantification methods to determine emissions. These new requirements will be gradually phased in by sectors. ECCC will begin consultations with stakeholders in early 2017, in advance of issuing requirements for 2017. Interested stakeholders will find information on how to get involved in the above notice or on the GHGRP website. If you are interested in participating in a collective stakeholder discussion with the Canadian Coalition for Green Health Care, please email Linda at linda@greenhealthcare.ca. The implementation notes show that the majority of the GHG emissions are within the supply chain providing products and services, and pharmaceuticals have been identified as a major GHG contributor to the health system – 16% of the entire NHS health care system carbon footprint. Also provided is a list of 20 priority pharmaceutical items with the highest GHG impact, which collectively account for more than 60% of the pharmaceutical footprint. Having doctors understand the implications of medications from a global health perspective could be a small step in the education process and can start the discussion of what the options for reducing pharmaceutical use could look like. Read more. Tracking Progress on Health and Climate Change is an international, multi-disciplinary research collaboration, dedicated to tracking progress on health and climate change from 2016 to 2030. 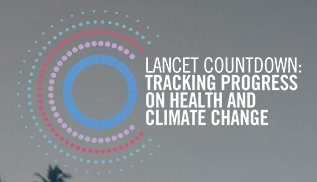 Click here to access the latest report which describes the Lancet Countdown's plans and proposes a series of indicators and indicator domains, to be tracked by the collaboration. 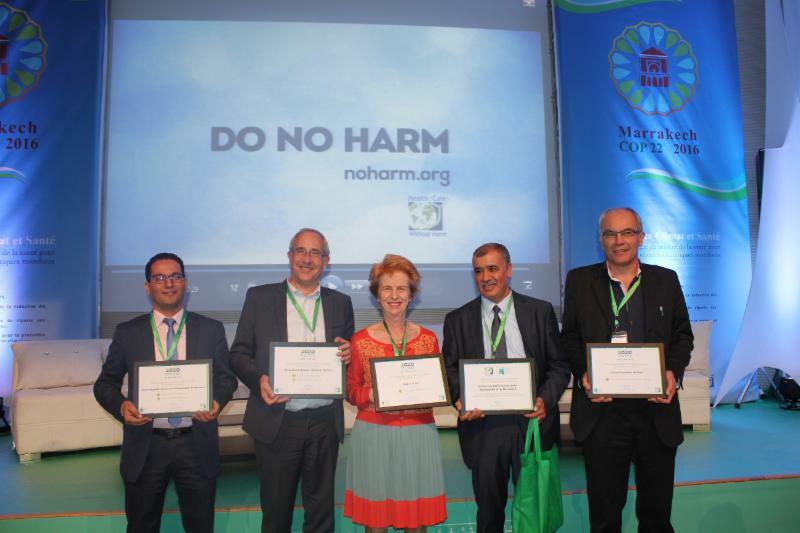 COP22 featured a range of events covering the impacts of climate change on public health, including: Health Action Day, Health Care Without Harm and Global Green and Healthy Hospital’s Climate and Health Care Conference, and the launch of the Lancet Countdown, a project aiming to annually track and report on the health impacts of climate hazards. Read more from Health Care Without Harm News. First Ministers agreed to develop a pan-Canadian Framework to achieve Canada’s international commitments in the Paris Agreement. They agreed to implement policies in support of meeting or exceeding Canada’s 2030 target of a 30% reduction below 2005 emissions and transitioning Canada to a stronger, climate-resilient, low-carbon economy. Read More. 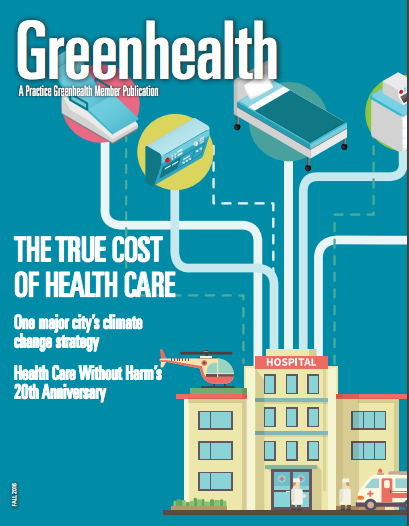 Practice Greenhealth's Fall 2016 issue is now available online. The focus of the issue is Climate and Water. Highlights include one major city's strategy to enhance its climate change resiliency, environmental stewardship in anaesthesia, environmentally preferable purchasing, and celebrating Healthcare Without Harm's 20th anniversary. Access the full magazine here. The special issue of the Pan American Journal of Public Health (PJPH) " Climate Resilient Health Care Facilities" is now online! 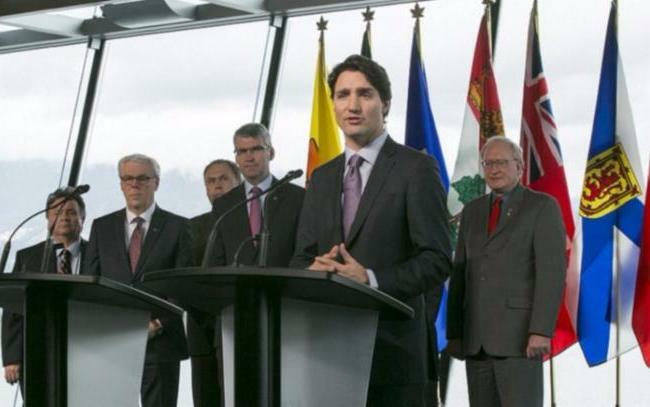 The Working Group on Adaptation and Climate Resilience is one of four working groups established at the direction of Canadian First Ministers in the Vancouver Declaration. It is led by a federal and a provincial co-chair, and is composed of members from federal, provincial, and territorial governments. 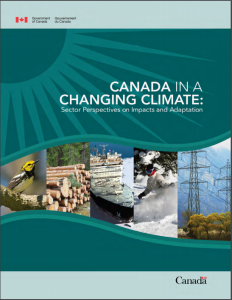 Click here to read the Green Health Care submission for the consideration of Federal/Provincial/Territorial Working Group on Adaptation and Climate Resilience. A busy medical ward is the last place you want the lights to go out in the event of a hurricane, flood or extreme weather event. These are also the conditions that can drive surges of patients to emergency rooms for treatment at a rate that can quickly outpace the hospitals capacity to react. Climate change increases the frequency and magnitude of extreme weather events and conditions – from asthma to vector diseases — likely to increase demand for healthcare. Read more. 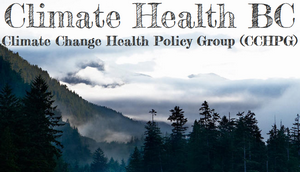 The BC Climate Change Health Policy Group (CCHPG) provides a vehicle for organizing the health sector to document and reduce the impacts of climate change on health in the province while supporting efforts to reduce the sector's carbon footprint. The Canadian Coalition for Green Health Care is pleased to participate in this important greening initiative. Interested in learning more about CCHPG activities, meetings or membership? Read more. 2015 was a big year for climate action. In August, President Obama and the EPA announced the Clean Power Plan, limiting carbon pollution from U.S. power plants for the first time in our history and demonstrating a serious commitment to addressing climate change and its impact on human health. Read more. Health Sciences Centre (HSC) is the largest health centre in Manitoba. In 2014, HSC installed new high efficiency chillers to reduce GHG emissions and improve energy efficiency. HSC now saves $184,000 in energy costs every year. 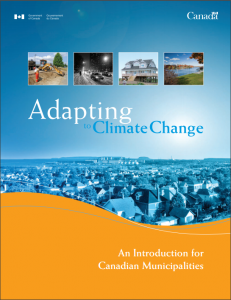 The Adaptation Sub-Committee's progress report 2014 considers preparedness to climate change in England related to major infrastructure, business, public health and emergency planning. 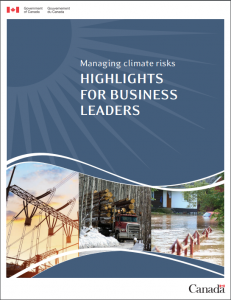 This video highlights case studies where positive action is being taken to reduce the risks of climate change. 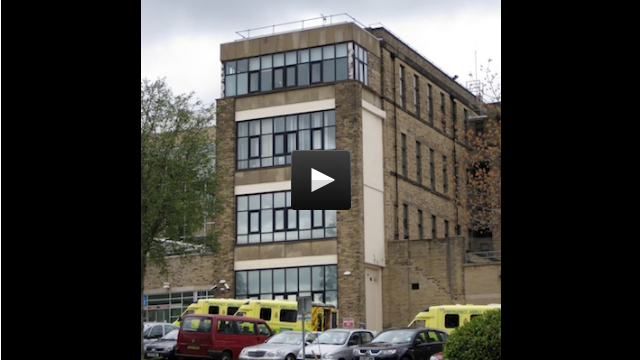 A film examining how existing National Health Service hospital architecture may be refurbished to become more resilient to extreme summer heatwaves. This film is one of the outputs from a major EPSRC-funded research project undertaken by Cambridge, Loughborough, Leeds and the Open universities.